News 8 crunched the numbers for San Diego County's traditional high schools to find out which schools have the most and least trouble on campus. 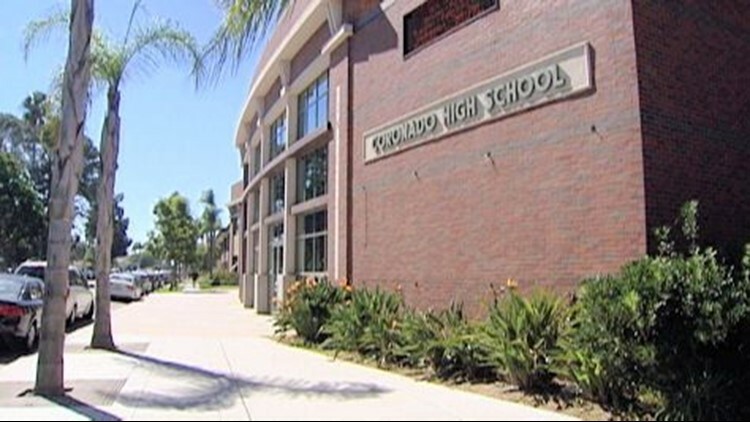 SAN DIEGO (CBS 8) - How safe is your neighborhood high school? When incidents involving drugs and violence happen on campus, they get reported to the California Department of Education. Physical injury to another person, sale of controlled substances, possession of a firearm or knife; these are just a few of the types of incidents that can get a student suspended or expelled. On the California Department of Education web site, a school's violence and drug rate is determined by the number of suspensions and expulsions, divided by the number of students enrolled at a particular campus. The most recent data on the state site is more than a year old, taken from the 2010-11 school year. The state web site lists numbers for both expulsions and suspensions. However, the suspension number typically includes both suspensions and expulsions because most students get suspended a few days in advance of the official expulsion. For this reason, News 8 used the suspension rate table to rank the schools. Local high schools with the lowest violence and drug rates based on suspension statistics were Coronado High School, Westview High School, Rancho Bernardo High School, and Canyon Crest Academy. One reason suspension rates were low at Coronado High School is because of an intervention program that helps students who are first-time offenders get a second chance. "A single act on our campus doesn't define who our student is," said Coronado High School Principal Karl Mueller. Students in Coronado's intervention program may be required to complete 20 hours of community service work, write an impact essay, and sign a contract in an effort to keep the behavior from happening again. "The focus here is really providing the student with an intervention during the fist offense and encouraging them to identify where that behavior came from, and then to return to their peer group making healthier, safer decisions," said Principal Mueller. The local high schools with the highest violence and drug rates for the 2010-11 school year included Crawford High's Law & Business School, Oceanside High School, Madison High School, and San Diego High's LEADS school. (Note: the schools operated on the campuses of Crawford High School and San Diego High School have changed since the state data was posted). Four out of the five high schools with the highest drug and violence rates were in the San Diego Unified School District. District officials said there are many variables that go into making a school safe, and a school's suspension rate is just one measure. "We are confident that every student in our district is safe and every school offers a program to let kids get the best education possible," said San Diego Unified's Chief of Student Services, Joe Fulcher. One variable can be a principal's individual discretion over whether to suspend a student for a particular offense. In San Diego city schools, officials are working on a plan to make sure students get equal discipline for similar offenses, regardless of race, income, or which school they attend. "At a Patrick Henry (High School) and a Lincoln (High School), for instance, we want the consequences to be the same for both sets of students with, of course, some discretion allowed to the principal," said Fulcher. Charter schools, like Steele Canyon High School in the East County, are not required to report violence and drug rates to the state, though some of them do. Steele Canyon's drug and violence data is not posted on the California Department of Education web site. "We don't report this data to the CDE nor do we keep track of it because as a Charter School, we don't follow the Ed Code for suspensions and expulsions," Steele Canyon Principal Eileen Poole wrote in an email to News 8. Below is the ranking list of local high schools based on the school's violence and drug rate for the 2010-11 school year. Keep in mind, individual students may be suspended more than once during a school year. More detailed information on the specific offenses is available on the California Department of Education web site in the DataQuest search area under the subject heading of Expulsion, Suspension and Truancy. Note: Data only includes violence/drug related expulsions & suspensions as reported to CDE.